O’Neal’s Varsity Boys Tennis Team won the 2016 Eastern Plains Independent Conference (EPIC) Championship. 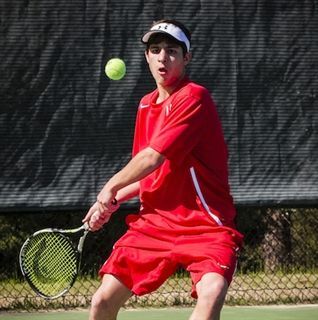 The Falcons went on to competing in the Final Four for the NCISAA tournament. 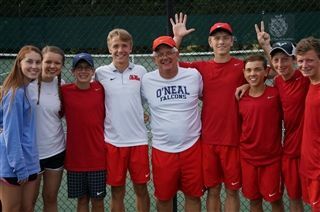 Coached by Koley Keel, O’Neal played the season with great consistency and its success as a team was sparked by outstanding performances by eighth grade student Sam Henry, who was selected to both the All State and All Conference teams and freshman Bennett Moore, senior Will Schirmer and eighth grade student Taft Gantt who won All Conference selections. Alex Marin and Nathan Swartz live in Sanford.